Jane Fonda: The Private Life of a Public Person by Patrica Bosworth was an incredibly interesting read and such a unique look at the person we thought we all knew. Bosworth focuses on how vulnerable and eager to please Fonda was. Her mother wanted a boy and never failed to make her feel less important than her brother, causing Fonda to have low self-esteem and the urge to do everything to please her parents in the hopes of being loved. As Fonda grew-up she surround herself with people in an attempt to find the love and approval that was missing in her childhood. Bosworth really looks at all of the relationships that impacted Fonda and shows you a side that was never before seen in movies. This was a very well written and researched biography that made for a eye-opening read. 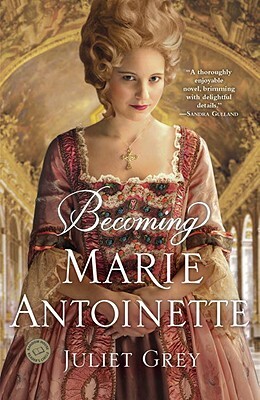 Becoming Marie Antoinette by Juliet Grey was an astounding beginning to a projected trilogy. Marie Antoinette, or Antonia to her Austrian family, was your typical carefree archduchess. However, Antonia’s mother saw a great future for her youngest daughter, for she planned to follow the family motto, “you fortunate Hapsburgs, marry!”, to the letter. A mutual alliance was plan to join Austria to France by marring Antonia to Lois XVI. This seem fairly straight forward since the kids were similar in age, but as time progresses the French found Antonia to be lacking in a few necessary qualities. Thus began the long and arduous transformation from Antonia to Marie Antoinette. Once married in France, Marie Antoinette found that her new life was quite different, and the dauphin (heir to the throne) hard to understand. This did not discourage her, for she knew her mother was counting on her, so instead Marie Antoinette forged ahead trying to understand the difficult court intrigues and many players. This was a fabulous historical fiction novel and I can’t wait to read the next two. In fact I would say this novel was by far the best I have read that tackles such an interesting and misunderstood queen. Grey weaves fun scandals into the history we all know. She also does a great job of showing the humorous and playful side of Marie Antoinette that at times was misunderstood. It was also refreshing to read about the noble deeds that Marie Antoinette carried out that are often forgotten due to the French revolution and her tragic death. As a historical fiction reader, I would highly recommend this novel. 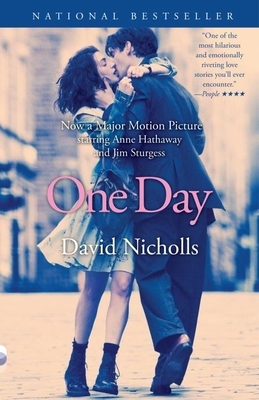 Answer: One Day by David Nicholls. Nicholls started out as an actor but soon switched to writing. He has also written Starter For Ten and The Understudy. One Day is a must read. It is wonderful story of two friends and the trials and tribulations that come with friendship. This novel is sure to leave a lasting impression on you. Be sure to read the book before you watch the movie. Order now at mostlybooksaz.com (e-book version is available) or stop in the store to get your copy. Identify the author and work from the passage below. Wishin’ and Hopin’ by Wally Lamb is a fun(ny) book. The year is 1964 and ten-year-old Felix is in school and learning more than his studeis teach. 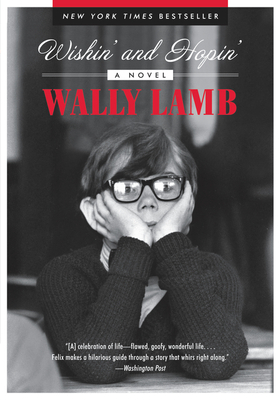 Author Wally Lamb has captured the year, the situations, and the characters in a most charming story that leaves the reader feeling staisfied. A good visit to memory lane. Join Felix at St. Aloysires Gonzaga Parochial School in an unforgettable adventure. This is a highly recommended book. Trivia answer: Hamlet speaks a total of 1,422 lines in the play. 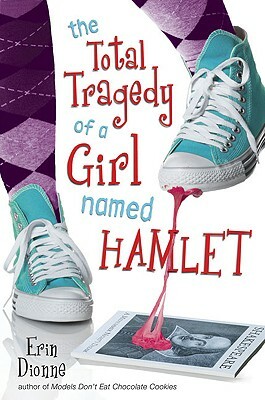 Check out Erin Dionne’s young adult book entitled The Total Tragedy of a Girl Named Hamlet. This is perfect for your 9-12 year old and an incredible entertaining read. Filled with Shakespeare tidbits and modern drama.